For many of us, the prospect of becoming a professional footballer is little more than a pipe dream. Thanks to the rise of video games, however, we can all get a little closer to experiencing our wildest fantasies out on the pitch. Whether you grew up playing with a broken joystick, a sticky keyboard or a modern, responsive PlayStation pad, there’s never been a better feeling than scoring a 35-yard screamer against one of your mates and wrapping your hands around that shiny (yet virtual) trophy. But football games have been causing arguments and ending friendships since long before FIFA, PES and Football Manager dominated the market. Although it might seem hard to imagine now, the video game industry was once packed with all manner of soccer titles, as developers tried to establish themselves as the real league-leaders. I remember staring open-mouthed at my TV screen the first time I played Libero Grande. It offered a sheer sense of scale I’d never experienced before, allowing you to control just a single player and putting you right at the heart of the action. The graphics were slick, the gameplay was awesome (though certainly not perfect), and this was the first football game I’d played where the crowd moved and cheered dynamically. Libero Grande’s atmosphere was second to none, and it featured an unbelievably fun co-op split-screen mode-- which usually involved just chasing the other player and hacking them to the ground. Although it featured no official licenses, the game was filled with carbon-copies of real-life players- with my personal favourite a shameless clone of Carlos Valderrama named ‘Cornelio Valencia’. Genius. 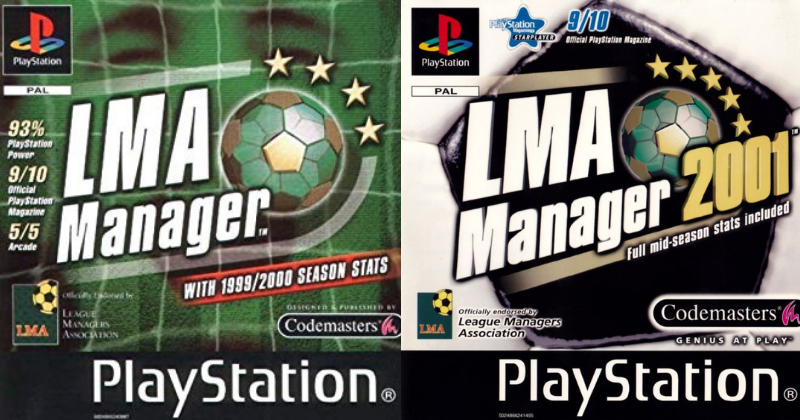 As a football management simulator, LMA Manager was pretty average at best. However, it was the sheer range of cheat codes which made this game so fun at times. You could give yourself a £500 million transfer budget, make your team invincible, rapidly upgrade your stadium and, best of all, replace the ball with a player during replays. 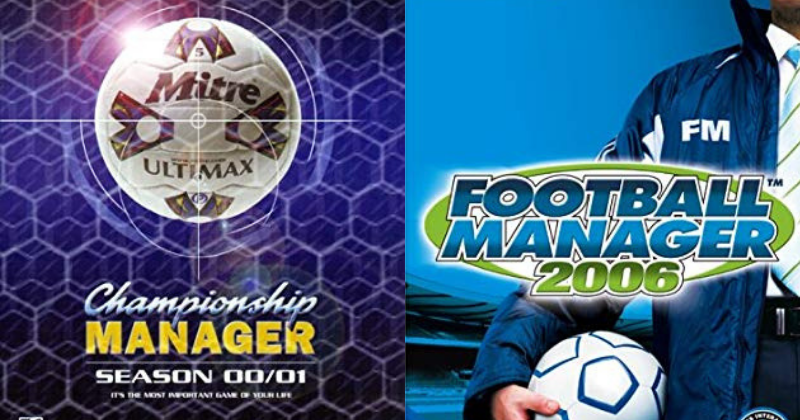 Of course, LMA was about more than just cheat codes, since it offered a much more visual, immersive matchday than the Championship Manager games of the time. Although these games certainly lacked depth (since you could only play in a handful of leagues), I’d argue that the franchise’s simplicity is what made it so fun to play. This was the perfect game for Alan Shearer fans, since the Premier League legend was all over the second and third additions to this series. 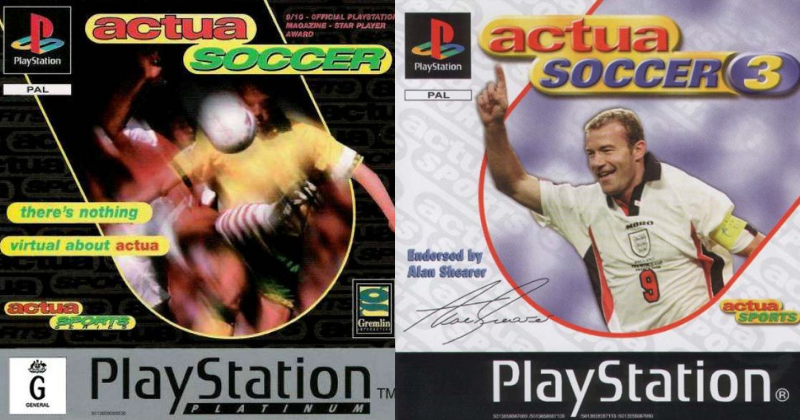 The original Actua Soccer, however, was absolutely ground-breaking, becoming the first console game to offer completely 3D environments and players. The gameplay was fast, fun and immersive, sucking you fully into the action and making you forget all about the game’s lack of playable teams. This revolutionary match engine is what made the game so enjoyable to play, with the resulting sequels greatly increasing the number of teams, players and official licenses. In fact, only Sensible World of Soccer had a bigger database. However, once FIFA finally mastered the 3D engine, Actua Soccer was simply unable to compete and, much like Shearer’s international career, came to a premature end near the turn of the century. ‘Football Manager Stole My Life’ isn’t just a book I’ve read, it’s one I can completely relate to. Some people might describe these games as ‘spruced-up spreadsheets’, but their sheer attention to detail will simply swallow you whole and make you forget all about the real world. Even in the early days, Championship Manager revolved around detailed player stats and intricate tactics, forcing you to jump head-first into the dugout and place your social life on the back-burner. Fast forward to the modern day (where it’s now known as Football Manager), and the game’s database is actually used by real-life scouts, while Sky Sports use it to compare players on Transfer Deadline Day. In short, it’s the most addictive video game I’ve ever played, and you should start playing at your own peril. 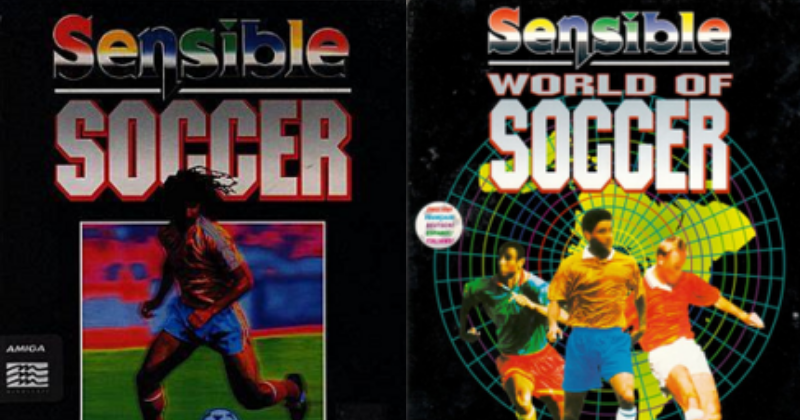 Okay, so this might have been a little before my time, but I still remember staying up to watch my older brother play Sensible World of Soccer on his Amiga. To this day, I can’t recall seeing anyone having quite so much fun with a video game. Of course, this was a sequel to the original 1992 version of Sensi, boasting an unbelievable 1500 playable teams and enough players to make the eyes water. Even over 20 years later, nothing comes close to these games for classic, arcade-style fun, while the smooth gameplay is just as playable now as it was in 1994. 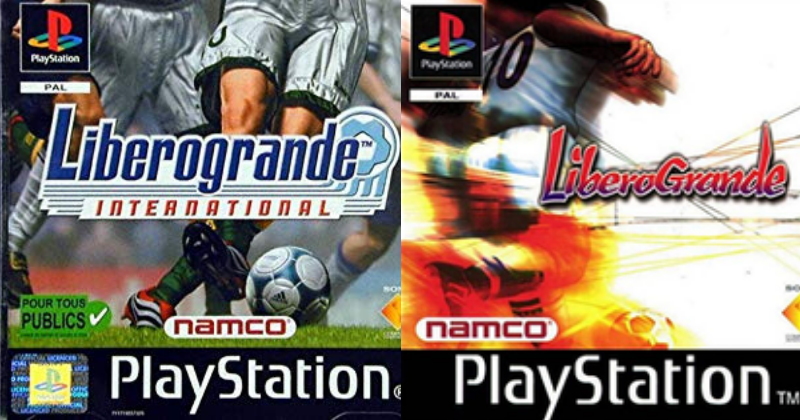 These games were all about non-stop action and fast, fluid football. Modern games should bring back the top-down view, I say. It was FIFA 98: Road To World Cup which first made me fall in love with football games, not least of all because of its awesome soundtrack. 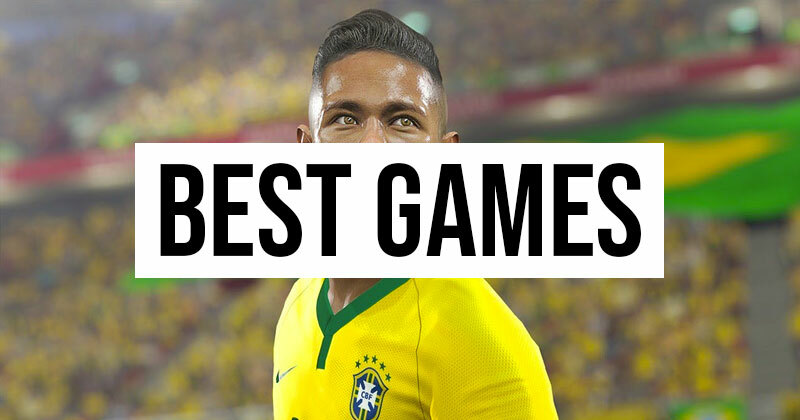 A great song-list has been a key ingredient of FIFA games over the past 20 years, coming alongside gorgeous menus, impressive licenses and undoubtedly the most polished match-day experience you’re likely to find. 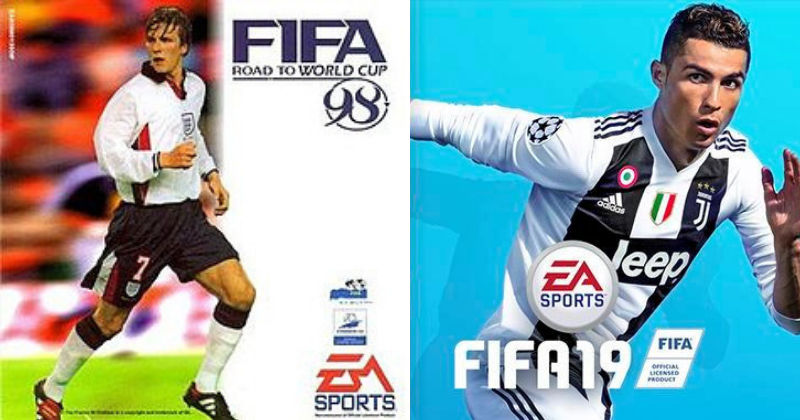 Even going as far back as FIFA 95, authenticity has always been at the heart of FIFA; with more clubs, stadiums, players and leagues added every year. The number of game modes has also increased over time, with FIFA 10 famously introducing us to Ultimate Team, Career Mode, Online Season, Pro Clubs and so much more. EA have continued to build on that winning formula, and the result is a franchise that’s always been bursting with fresh content and fun gameplay. Even if it makes you break your controller at times. It’s incredibly tight between the top two, but nothing comes close to beating PES when it comes down to gameplay. And, at the end of the day, this is what’s always mattered the most. Ever since the early days of International Superstar Soccer and Winning Eleven, Konami have always prided themselves on providing the most realistic game of football out there. Okay, so the lack of licenses is off-putting for some people, but PES has always been streets ahead of everyone when it comes to creating impactful, realistic and, more importantly, fun action on the pitch. So, when the gameplay is so satisfying, who cares if you’re playing as ‘Man Red’ or you’ve got ‘Ruud vom Mistelroum’ up front? 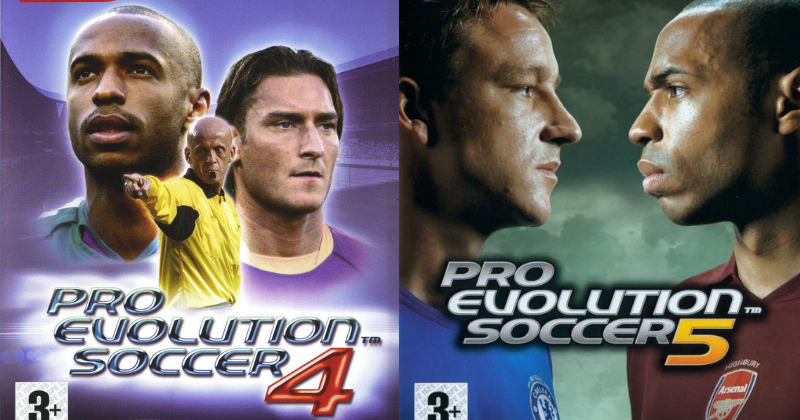 Pro Evo 5 and 6 were arguably two of the greatest football games ever created, simply because they were so enjoyable to play and encouraged playful creativity on the pitch. Oh, and Adriano had 99 shot power- which was always a lot of fun. The series might have enjoyed its heyday back in the mid-00’s, but there’s no question that PES set the bar for every single sports video game on the planet. A bar which, for me, nothing has come close to reaching.